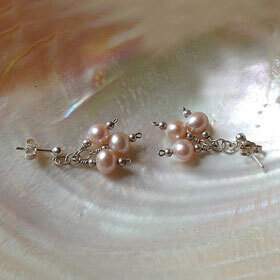 Natural pink, smooth high-grade pearls are handwrapped using tarnish resistant argentium silver next to the pearls for easy care. 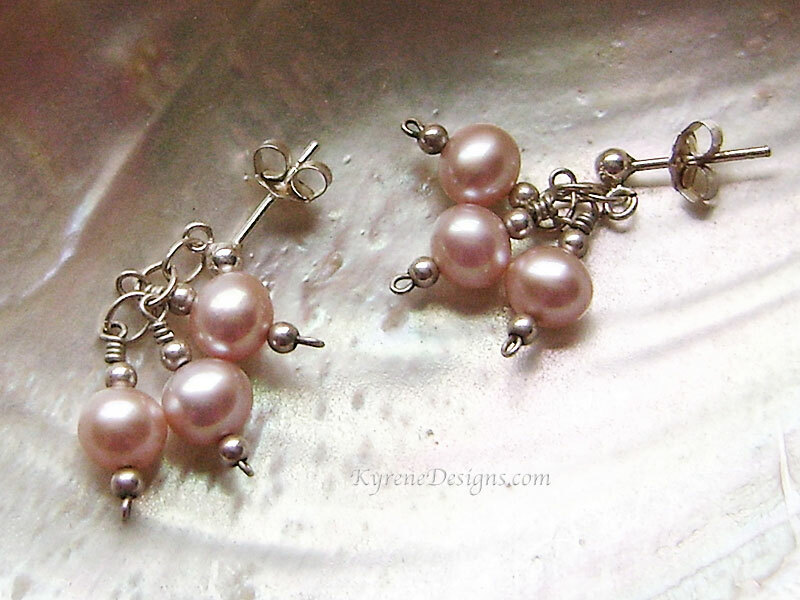 Options: contact sales@kyrenedesigns.com to swap to silver-plated clips, sterling hooks (large photo), or extreme hypoallergenic hooks. Hooks hang 35mm overall. 14ct gold fill option is available.